1. 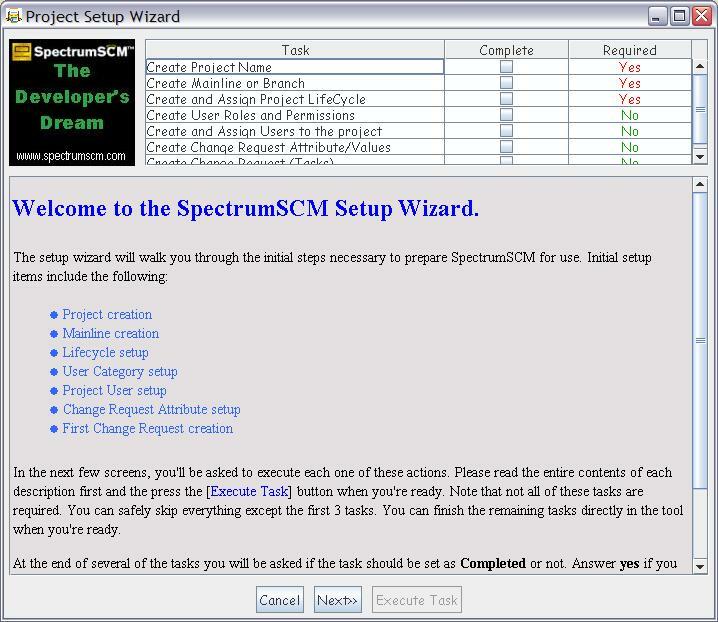 The first time you access SpectrumSCM, the system will detect that no projects actually exist yet, and will automatically start the project configuration wizard. The user will be guided through a series of screens that, when finished, will leave the system is a state where it is immediately ready for use. 2. The first screen is the Project Creation Screen. 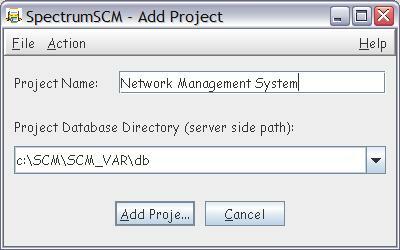 Enter the name for the project, and click Add Project. 3. You will be notified that the project was added correctly. 4. Enter the generic name and a small (optional) description. 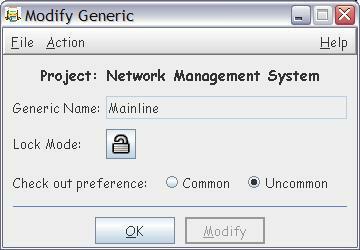 A Generic may be considered a baseline for the project and is a special form of branching. 5. 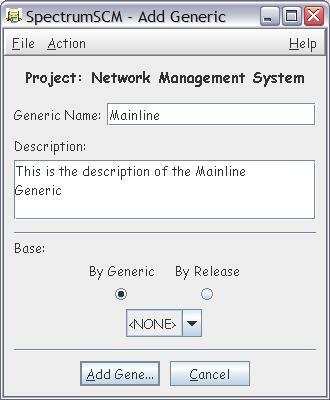 You will be notified that the generic for this project was added correctly. 6. The default mode (Unlocked) should be selected, since there are no prior generics available. 7. 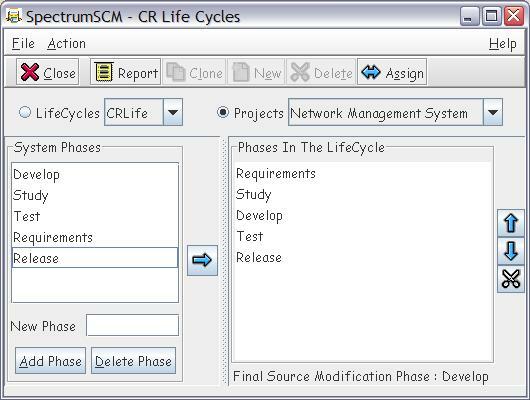 The Change Request Life Cycles screen allows you to assign a life cycle to a project. 8. Click the Projects radio button, then click Assign. 9. 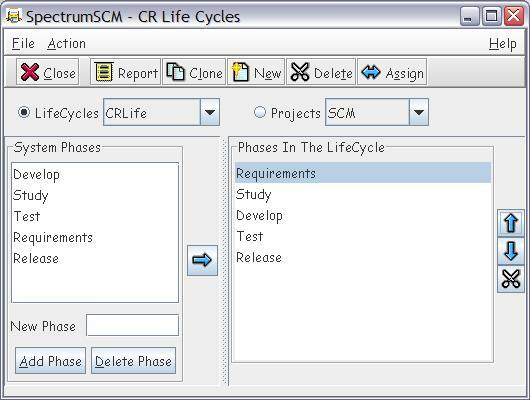 Select the desired life-cycle then click OK button. 10. Select the last development phase then click OK button. 11. You will be notified that the Life-Cycle was assigned correctly. 12. Click on the Close button to return to the main screen. 13. At this point, you are ready to use the tool.